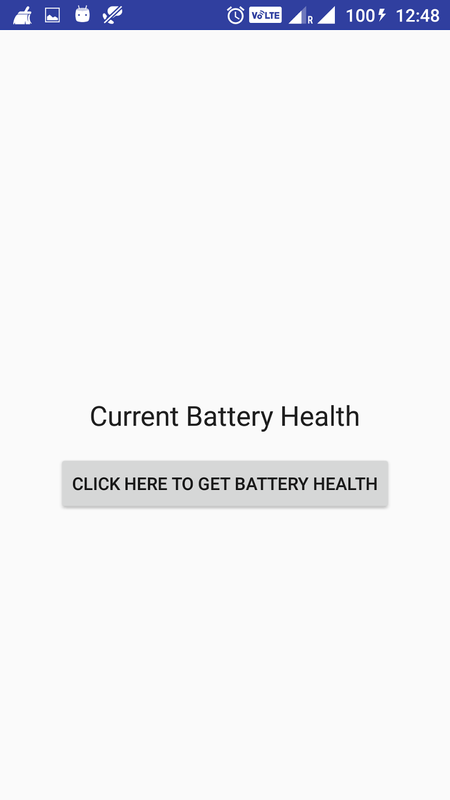 In this post, we are going to see how to get current battery voltage in android. 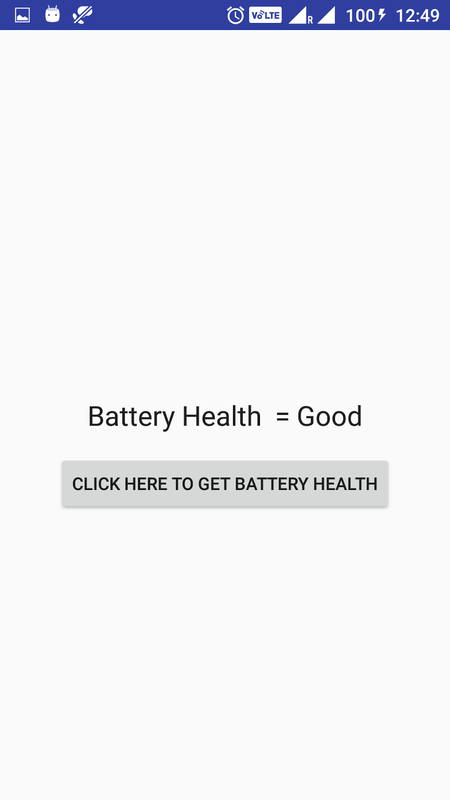 You can use intent.getIntExtra(BatteryManager.EXTRA_HEALTH,0) to get information about current battery voltage. Create an android application project named “GetBatteryHealthApp”. As we want to get battery level health information, we need to register broadcast receiver and intent filter. An intent filter is used to tell native battery app that this app is listening for changes in native battery app. 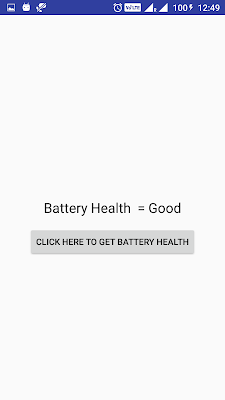 If you see the code we have used Intent.ACTION_BATTERY_CHANGED to get current battery info. It is sticky broadcast which contain battery charging state , level and other info. BatteryManager class contains all constant strings. Sticky broadcast is broadcast which will remain active once registered. Here we are registering created broadcastreceiver to the MainActivity and intent filter is listening for battery change events.